Marijuana is a oil based drug which will make it more detectable since is not water soluble and will allocate in the fat cells of the body. It is hard to tell how long marijuana will manifest in a drug testing because the time to detect its presence depends on many factors. These include what kind and how sensitive the type of test that is being done. How frequent is the person using the substance, what is its dosage, when was the last time he used the substance as well as the user’s genetic make-up, his state of metabolism, weight or obesity, his digestive along with his excretory systems plus other factors. The most common method of drug testing is through a urine test.This can be an effective drug test to check for the presence of marijuana in a person’s body through his urine. While the psychoactive component or THC, the delta-9-tetrahydrocannabinol found in marijuana cannot be detected through a urine test, it can detect the presence of the non-psychoactive component which is THC-COOH, the metabolite which can able to stay in the body even after several days or even weeks without having impairing effects. Since THC-COOH can be detected even after several days, it goes to show that urine tests can have more sensitivity with marijuana than to other drugs. In fact, about 50% of the drug tests which turned out to be positive are from marijuana testing. Marijuana test can be detected in a person’s urine test depending on how frequently he uses the substance. For a regular user, one who uses several times a week, the metabolite (THC-COOH) in marijuana will register a high build-up of about several hundreds of nanogram for every milliliter. This will take a few weeks to go down below the outset of detection. There should be an abstinence from using the substance so that the trace will be totally cleared out. For those who use the substance for just once a week or, occasionally, the trace often gets cleared up in just a matter of days. Blood tests can detect the trace of marijuana better than urine test as it measures the presence of the active component THC in the blood stream for someone who just recently used the substance. However, since you cannot just administer the test due to being invasive, blood tests are seldom used. They are just used on occasions where there are investigations ongoing related to accidents and injuries as well as those with DUI cases as they are necessary to prove if there is actually a trace of the substance in the blood of the subject through a court order. Another drawback is THC levels in blood will be present in a very short time since the test will perform detection for the delta-9-tetrahydrocannabinol found in marijuana also called Parent THC. To smoke marijuana, the THC easily builds-up within a few minutes of inhalation usually to levels more than 100 ng/ml in the blood plasma and easily subsides to a single-digit measurement after an hour. When the THC levels of the subject turned out very high, it means that the person just recently smoked marijuana. THC may stay at low levels of just 1-2 ng/ml after eight hours or more with no detectable manifestations of mutilation in those who smoked the substance once or rarely. For those who have been smoking marijuana for a long time already, the trace of the marijuana can still be detected even after several days, about 24-48 hours after smoking and sometimes can even stay longer with levels from .5 – 3.2 ng/ml in the bloodstream. Hair tests are done on a subject because they cannot measure the current use. However, non-psychoactive residues can still be detected in the subject’s hair even after months of last use. Since the residues were absorbed internally, they are not seen in the hair right away and thus, are not washed using shampoos. It would take about a week or more after the first use. This test will most likely be suitable for those smoking marijuana regularly than those who just occasionally smoke. In a study, it showed 85% of regular users resulted positive for the substance while those who smoke occasionally showed only 52% positive results. Smoked marijuana is more easily detected than ingested cannabis due to the digestive process. 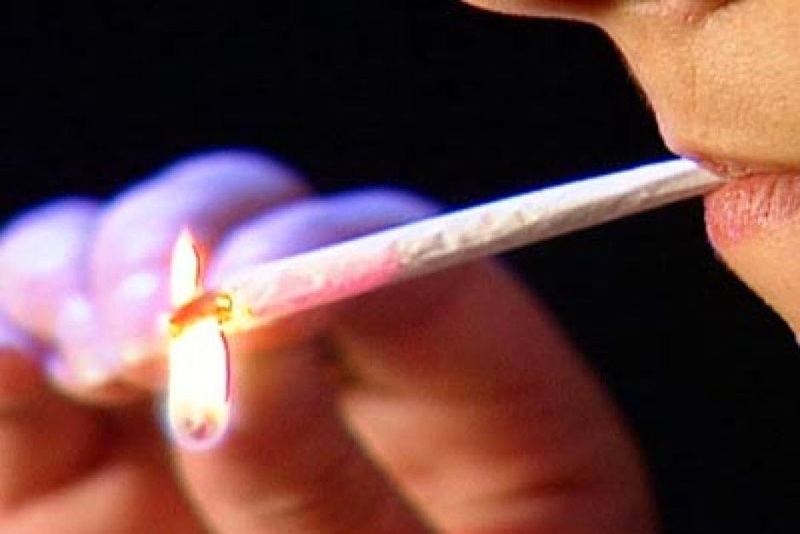 Saliva testing is the newest method to detect the presence of marijuana. This technology will detect the delta-9-tetrahydrocannabinol found in marijuana or Parent THC. This test is more appropriate for recent marijuana usage which could be for just a few hours up to 3 day. The test is designed to detect through the secretions which are not washed out by using mouthwash. Since this test is not as intrusive as using a blood test or urine test, the government would like to develop this type of testing. Most drugs can have residues in the saliva for only a few hours up to a day after last use. Thus, this test could only be efficient when the test is done immediately or within that period.